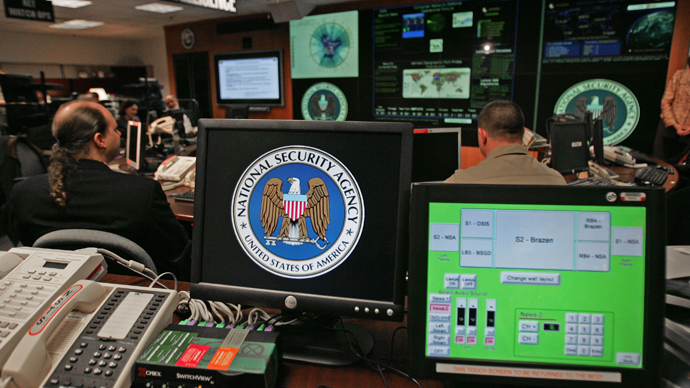 Viewing NSA whistleblower Edward Snowden in Washington may rub salt into the fresh wounds of the Obama administration. A free-speech advocacy group put the fugitive’s face on Metro buses in a gesture of gratitude for his leaks. 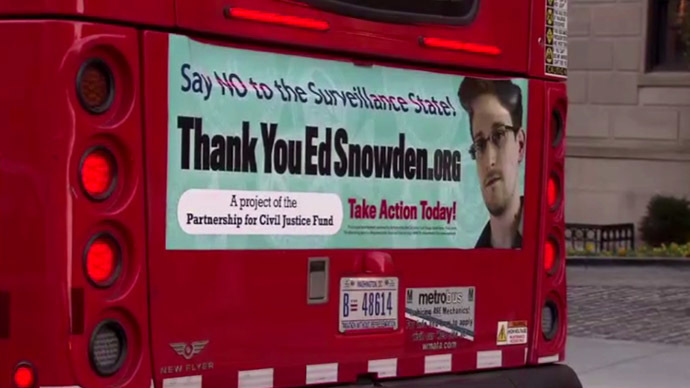 The crowd funded ‘Thank You Ed Snowden’ bus ad campaign, launched this week, was organized by the Partnership for Civil Justice Fund (PCJF). When fund-raising started to do the Snowden bus ad in Washington, it was only planned to pay for one single bus. Advertising costs for this are $5,000 for four weeks, according to CBS Outdoor, which handles advertising on Metro [Washington Metropolitan Area Transit Authority]. However now, following media reports, the campaign has seen an inflow of donations, and the PCJF is planning to extend and expand it. 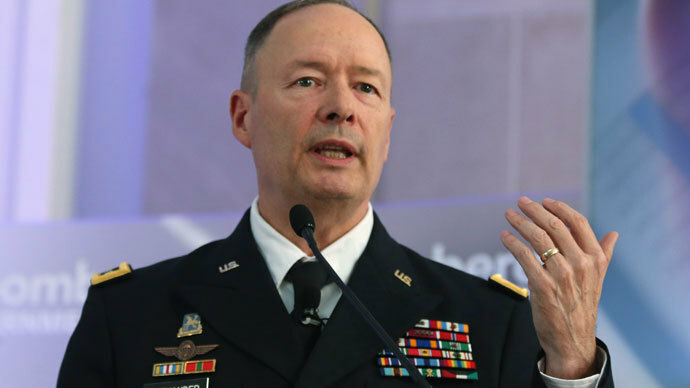 “We want millions of people to know that they too can join the growing movement opposing the NSA's Surveillance State,” it said. The ad company tried to distance itself from the campaign, which is bound to stir controversy in a country where Snowden is viewed as a hero by some and a traitor by others. 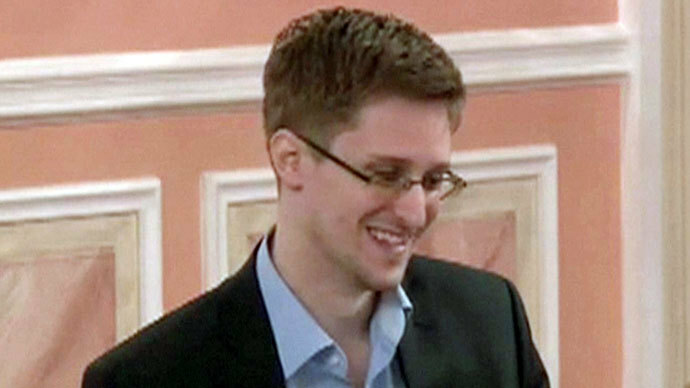 Edward Snowden, who is facing charges of espionage in his home country, is currently living in Russia, which granted him temporary asylum.